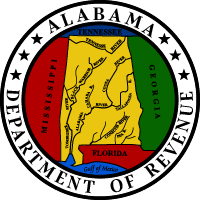 ALTS is a web-based system that permits designated agents of the Alabama Department of Revenue (ADOR) to access a secure website and complete a title application online. Once the title application passes numerous edits designed to reduce errors, the title application can be printed by the designated agent using a laser printer. The printed application and supporting documents are then submitted to the ADOR. Check on the status of a pending application to see where it is in the process of becoming a new title. If a title has been returned because of an undeliverable address, the address can be updated here.